THE 2 YEAR BIRTHDAY BASH!! Don't miss the Birthday Bash! 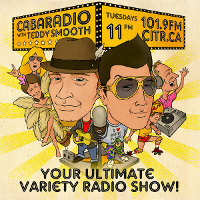 CiTR and CabaRadio with Teddy Smooth Present: CabaRadio's 2 year Birthday Bash! 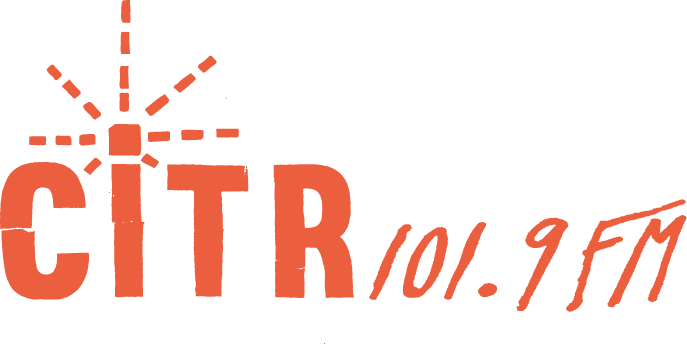 Live music, talented performers, stand up, prizes and more! Live jazz by the beautiful and vivacious Andrea Superstein! Music by the Creaking Planks! A display of talent from Paul Anthony's Talent Time! His guest in none other than internet sensation Ligia Oancea! Join us as she sings her song "Vancouver" to celebrate Vancouver's 125th Bday! Terminal Roller Derby action with Suzy Shamless and Iona Beerwagon! Burgundy Brixx & the Puurfessor of Kitty Nights stop by to perform a ditty! Stand up by the very funny Jane Stanton! DJing by the maestro of the 45 set, DJ K-Tel! Plus a bunch of PRIZES to give away!! So tune in for CabaRadio's Big 2 year Birthday Bash!